The US and Israel share many imaginary values: both like to think of themselves as peace-loving, justice-pursuing democracies, built by the perseverance of pioneering immigrants. The two countries have some actual shared values too: for example, in election season, their leaders openly pledge allegiance to the far right among their voters and disregard the rights of powerless minorities. Just as Trump has vowed to drive away asylum seekers in our hemisphere, Netanyahu and his administration have worked to flush out African refugees in Israel. And while Trump has no use for Black Americans, Netanyahu disdains the Palestinian population. But, thanks in great part to US support that includes $10 million a day in military aid, the Israeli government gets away with some particularly shocking moves. Case in point: close on the heels of its racist Nation State Law, Netanyahu’s right wing government is working to make the death penalty – for Palestinians – more accessible. Since the occupation of the Palestinian Territories began in 1967 – and to the present in the West Bank – Palestinians are tried in Israeli military court. While these courts may appear legitimate on the surface, with all the trappings of a justice system, they are run entirely by Israeli soldiers, enforcing laws written by Israeli soldiers based on what they think is best for Israel. Palestinians are unrepresented and vulnerable. Jewish citizens of Israel – even those living in West Bank settlements – are tried by civil courts under their own set of laws. 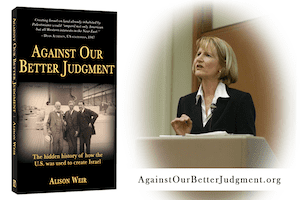 They are judged by fellow Jews, their peers and advocates. In other words, if a Palestinian and an Israeli were to commit exactly the same crime in exactly the same location, they would be tried under two separate (and unequal) systems. Israeli military courts prosecute Palestinians charged with “security violations” and breach of a host of military orders and other laws. Some of the laws that Palestinians live under would be considered unconstitutional in the US. printing and distributing political material. Israeli military courts also widely use administrative detention, a procedure whereby prisoners can be held indefinitely, without charge or trial, based on secret evidence. International law dictates that this practice should be used only sparingly. Since the beginning of the Israeli occupation in 1967, Israeli forces have arrested more than 800,000 Palestinians – almost 20% of the total Palestinian population in the occupied Palestinian territories. About 40% of male Palestinians in the occupied territories have been arrested. The crime of killing an Israeli is currently punishable by death only in military court, and only in the event of a unanimous decision by 3 the Israeli military judges overseeing a case. The last time Israel carried out an execution was in 1962, when Nazi war criminal Adolf Eichmann was hanged. Significantly, Israeli civil court, where Jews are tried, abolished the death sentence in 1954. The proposed bill would reduce the required approval from a unanimity of 3 judges to a majority of just 2, enabling Israeli military courts to execute “terrorists” convicted of murder more easily. These are the courts hoping to get easier access to the death sentence. Israeli Defense Minister Avigdor Lieberman has insisted that the capital punishment bill would be a strong deterrent to Palestinian “terror,” and is eager to see its passage. PM Netanyahu was also against the bill – until recently. He has just thrown his support behind the bill, in a move that Al-Monitor describes as a typical response “when he sees one of his ministers outflanking him on the right and fears being portrayed as weak” on terrorism. Israel is holding elections in 2019. No one in the Netanyahu government or the electorate seemed to mind the soft touch afforded to Elor Azaria in 2017. Azaria, an Israeli soldier, shot and killed an incapacitated, unarmed Palestinian man in the head at close range. The incident was caught on video; clearly Azaria was not in any danger from the man lying motionless on the ground. Netanyahu, along with Defense Minister Avigdor Lieberman, called on Israeli President Reuven Rivlin to pardon Azaria. When Rivlin declined, right-wingers labeled him a traitor. Azaria received a hero’s welcome. Ahed Tamimi enters court in handcuffs. Tamimi was abducted from her home in the middle of the night, indicted on five counts of assaulting security forces, and, after a plea bargain, was sentenced to 8 months in prison. Also witness Palestinian “criminals” Saleh Ashraf Ishtayya, aged 16, who was sentenced to 3 years and 3 months in prison for throwing stones at cars; Muhammad Ahmad Jaber and Murad Raed Algam, both aged 14, were sentenced to 3 years for throwing stones at cars; Muhammad Na’el Tayeh and Zaid Ayed al-Taweel, aged 17 and 16, were sentenced to 2 years and 4 months for throwing stones at cars. Defense for Children International reports that since 2000, at least 8,000 Palestinian minors have been prosecuted in Israel’s military courts. Other human rights groups have also denounced the bill. It is entirely plausible that, if enacted against a Palestinian population that is fed up with occupation and oppression, such a policy could backfire: hopelessness and marginalization are often a recipe for backlash.